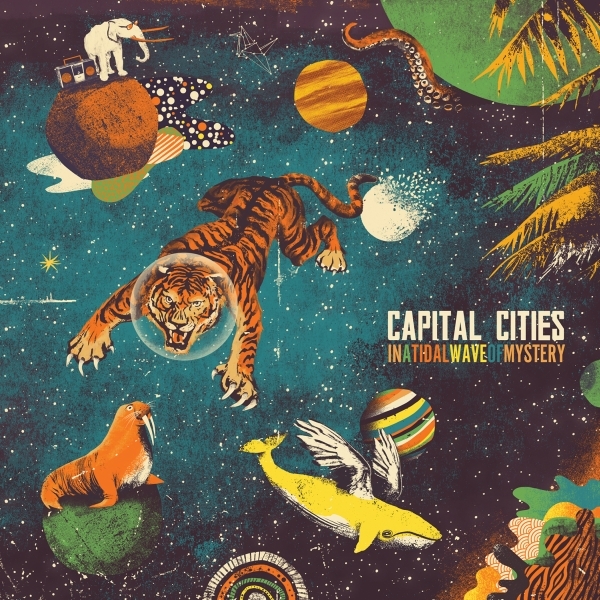 In a Tidal Wave of Mystery font here refers to the font used in the cover artwork of In a Tidal Wave of Mystery, which is the debut studio album of American indie pop duo Capital Cities, released on June 4, 2013, under Capitol Records. Two fonts have been used in the album cover above. For the band name, it is probably set in Smallville, which is a free font and can be downloaded here. For the album title, it is probably set in Alternate Gothic, which is a condensed sans serif originally designed by Morris Fuller Benton in 1903. You can view more details about it here. If you do not want to download and install the font but just like to create simple text or logos using In a Tidal Wave of Mystery Font, just use the text generator below. The following tool will convert your entered text into images using In a Tidal Wave of Mystery Font, and then you can right-click on the image to save it or click on the "EMBED" button to get links to embed images on the web.